Many optometrists come to the field because of positive memories of a childhood spent at the eye doctor. But Erin Lutley had just one eye exam under her belt when she entered SUNY Optometry in 2016. She found her way to the profession not because of a past experience, but because of the future she envisioned for herself. Lutley serves on a number of committees to make the College an even better institution, including the Committee on Health and Safety and Energy Conservation and SOLutioN. 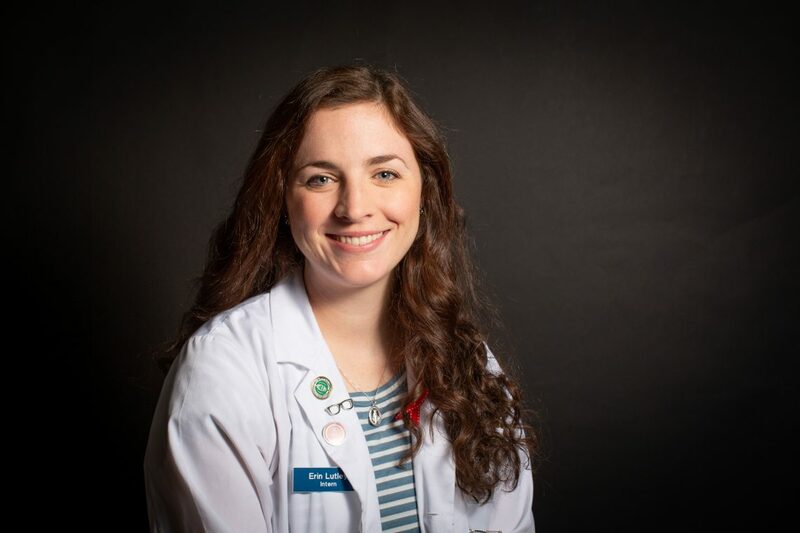 She is also a student ambassador for Transitions Optical, president of the Student Optometric Association for Private Practice and a Special Olympics volunteer. She became a student representative on College Council in August 2018. The Council consists of 10 members; nine are appointed by the Governor and one is a peer-elected student. The group advises the president on the operations and affairs of the campus. “The best part of being a Council member has been meeting so many people who truly care about the advancement of SUNY Optometry and the betterment of its students, faculty and patient population,” she says. It is all, by anyone’s assessment, a lot. But this is, in Lutley’s view, necessary. “It is so important to me to be active beyond courses and academics, and I believe attending conferences and being a student leader are what have made me who I am,” she says.